2. Which is an active factor of production? 3. What is the major objective of farm management? 6. Give any two techniques of farm planning. 7. What are the types of farm budgeting? 9. When and where did first cooperative established in Nepal? 11. Define physical function of marketing. 12. Why there is spatial price variation of agricultural commodities? 13. What does WTO stand for? 14. Define production factors. Enlist two characteristics of land. 15. Write the scope of farm management. 17. Write the importance of farm planning. 18. Enlist the different types of farm record. 19. Discuss the different types of marketing functions. 20. What are the challenges of TWO for Nepal? total utility and marginal utility with figure. 22. Define farm management and explain its importance. 24. Define farm budgeting. Write the importance of farm budgeting. 25. 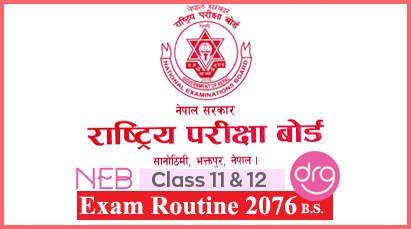 Describe the Nepalese experiences in cooperatives. 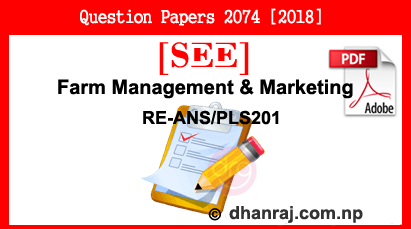 0 Response to "Farm Management & Marketing | Exam Paper | 2074  | RE-ANS/PLS201 | SEE"